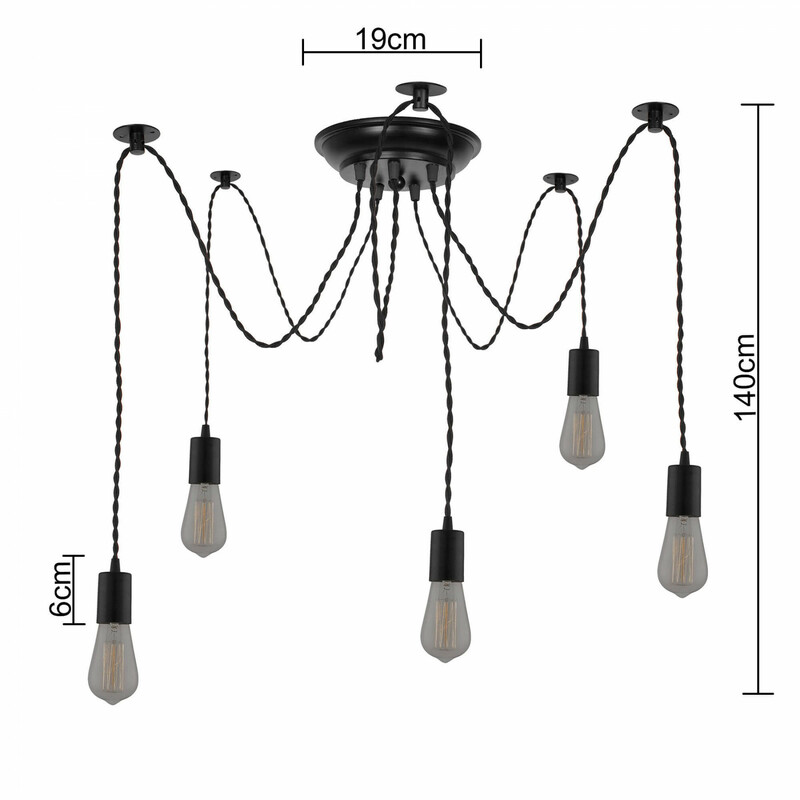 This spider cluster is not only lighting, but also decoration for your home. It creates a retro and romantic atmosphere for your family, lover and friends. 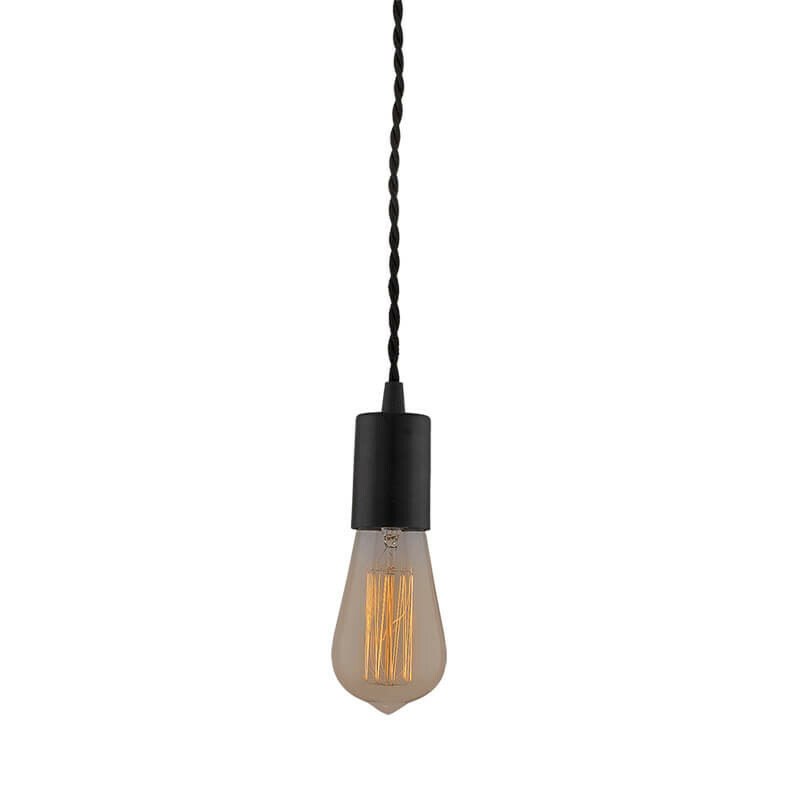 Long cable, let you DIY you own ceiling light height with 5 heads fit for E27 bulb(BULBS NOT INCLUDED). It supports Max 60W power for each heads. 5 wall lamp base & 1 set of installation accessories made of metal. Create your own bespoke lighting cluster. Hang them off ceiling mounted hooks so you can have these feature lights at varying heights. 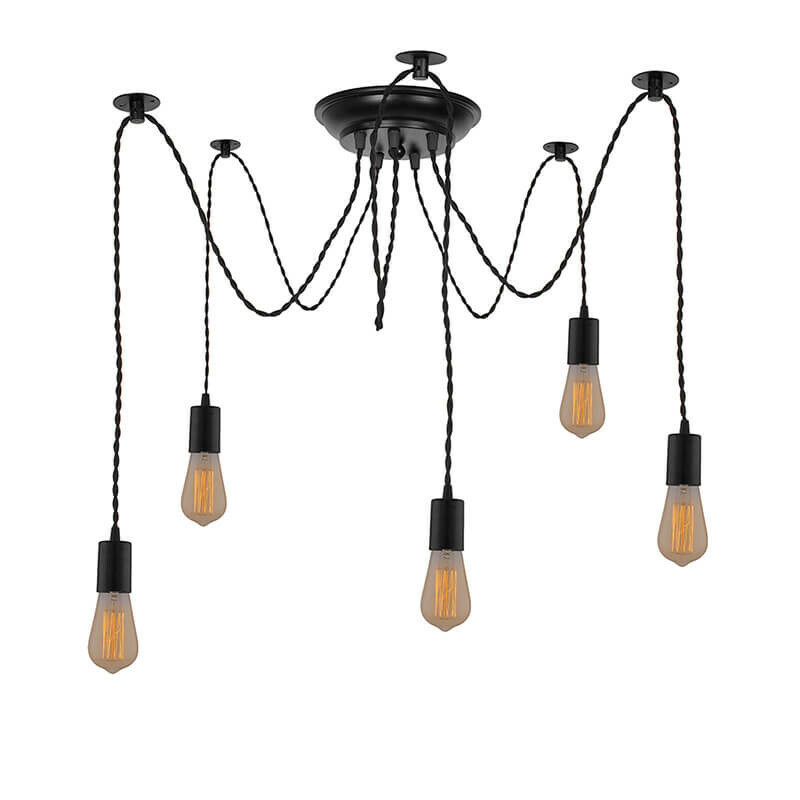 The Spider Pendant Light comes as a kit with 1.25m of twisted wire cable on each lamp holder to allow you to choose how far to have the drop from each hook. Perfect for corridor, living room, dining room, storeroom, kitchen, bedroom, exhibition hall, hotel room, entrance, coffee shop, etc.